"Beautiful hotel and clean rooms." "The hote location is good and hotel is clean." 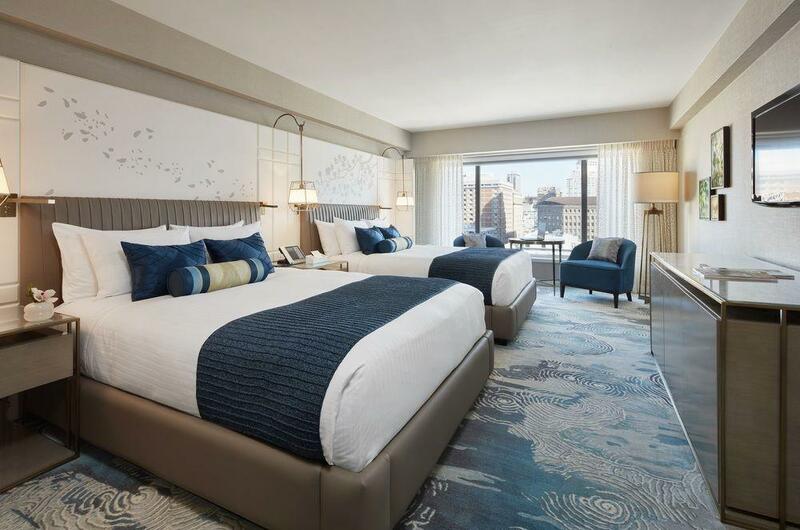 Whether visiting for business or pleasure, guests will fall in love with this luxurious boutique hotel here in San Francisco, a beautiful and charming city with the historic and the contemporary. Hotel Nikko San Francisco offers the unique blend of Asian grace and modern conveniences. On the second floor, guests will find one of San Francisco’s most acclaimed restaurants, ANZU, offering Euro-Japanese cuisine. On the other hand, guests wouldn’t want to miss the premiere Night Club of San Francisco, Feinstein's at the Nikko, offering a variety of headliner entertainment in an intimate, acoustically perfect, sophisticated setting on the hotel's lobby level with a chic bar, specialty cocktails, an extensive wine list, unique coffee drinks, and assorted loose teas brewed to order. With an outstanding location and the very best in service and dining, it is no surprise that Hotel Nikko San Francisco is a favorite. "Great location and overall nice hotel!" There is a fee of USD 25 for the use of health club and swimming pool. Guests staying in the Imperial floor rooms and suites are exempt from this fee. Early check-in is subject to availability and will be charged an additional fee of USD 30. Guests must provide a valid credit card that matches the identification. A credit or debit card security deposit up to USD 500 is required upon check-in for charges or damages during the stay and will be refunded within 30 days following the stay. In case there is any damage, the security deposit will not be refunded or will be partially refunded. The property will pre-authorize the provided credit or debit card upon check-in. Guests checking in before 03:00 PM will be charged an additional fee of USD 30. Pets weighing 50 pounds and under are allowed at the property for an extra charge of USD 50 per night. Pets weighing over 51 pounds are allowed at the property for an extra charge of USD 200 per night. An additional one-time refundable cleaning deposit of USD 150 will be applied to all guests with pets upon check-in. Pros: convenient to downtown within mins of walking distance. Nice hotel with big room, friendly staff, good size gym. Many restaurants nearby. Cons: Gym room weight train machine not the latest type but doable. I have stayed in San Francisco many times and this is the first time I stayed at the Hotel Nikko. I canceled my reservations at the Marriott Marquis because they were on strike and I found this gym and booked there. I don’t know where to begin to say how much and why I like this hotel: it was extremely clean, extremely well designed, and the customer service was amazing. My room was A+. The location is the best and I give this hotel my highest recommendation . Other than the bell service staff, the other staff we have encountered arent too warm in their services. Being tired and hungry after arriving from Vegas, we asked the conceige for some directions but was just brushed off with a slip of paper with an address. We had a comfortable stay at the Nikko. It was a pleasant 20 minute walk to the Farmer's Building, and from there we ended up walking all of San Francisco! We found a gem of a restaurant (Tratto) within a block from the hotel which was amazing - great Italian food and lovely cocktails. We were really disappointed that the hotel tried charging us $30 for an early check in, especially given the price you pay for the hotel and also the additional $25 US we had to pay to use the swimming pool and gym facilities. It felt like they were trying to get money out of us any way they could. We stayed here on 2 legs on our most recent vacation (3rd to 8th March; 13th to 19th March). Before even the beginning of the stay, I wrote the hotel to ask for an early check-in and an extra bed as we were traveling with a 4-year-old across the pacific on a 14-hour flight. Not only was the answer helpful and affirmative, we felt so welcome and happy that we altered the plans for our second leg to ensure that we stayed with Nikko throughout our time in San Francisco. The people in this property were unilaterally Friendly (capital F!) and welcoming. The doormen / greeters / porters were happily entertaining my daughter on occasion where we were waiting for our ride. The concierge was friendly and helpful - they even have a text method for obtaining help or service. All the front desk staff were efficient and helpful - an important point when we checked in after such long flights / late arrivals. An impeccable experience - whether you're traveling for business or pleasure. WiFi was not really included nor was the gym or spa. The room was noisy, loud banging from 3-5 am from pipes or hot water. Nobody to help me with luggage on arrival. The location is quite dangerous. It’s the dodgy part of town. As soon as we stepped on the hotel ground everyone was beyond friendly, very helpful and welcoming. Nothing was ever an issue for anyone. 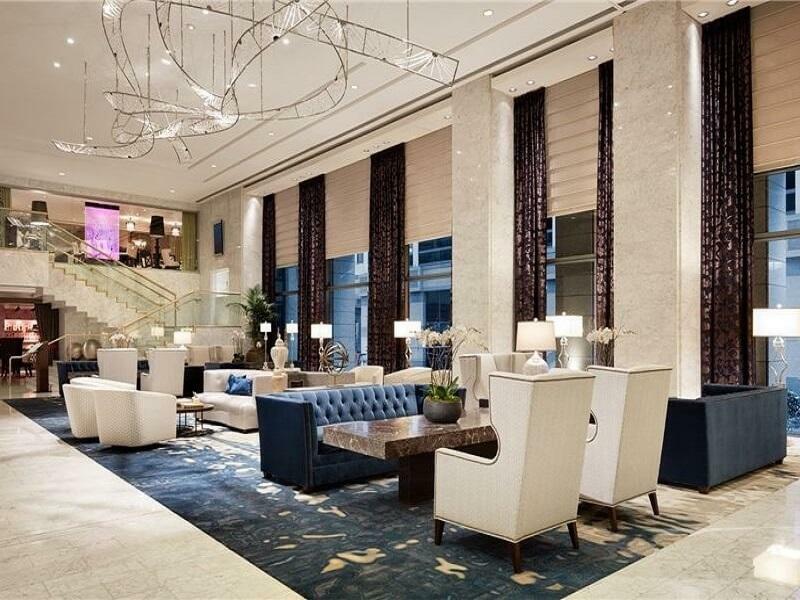 Hotel is located very close to union square and within walking distance to other main attraction. If you don't like to walk though there are plenty of taxi outside of hotel or bus stops if you prefer cheaper transport. If you are planning a trip to San Francisco this is a hotel for you. We will definitely return. Overall a good stay, have to pay extra to use the pool though. Do not use Agoda for booking. With the exception of one, All their phone options tell you to use the internet and hang up on you. The one that doesn’t disconnect put me on hold for 55 minutes before I hung up. If you are visiting San Francisco, don't miss the Nikko! This Japan style hotel is very nice, clean, and furnished with a gym and a pool; on top of that, its location is terrific, steps from Union Square, and BART Station in Powell (to/from the airport). We got the deluxe room on a high floor: a quiet room with an amazing view of the city. The room is clean but it is rather small when compared to other hotels in downtown SF. Location is excellent and accessible. Porter staff is extremely friendly and helpful. Design of floorpan for deluxe suite where we stayed is a bit weird - it is not in rectangular shape but is in a S shape which is not so convenient and makes the room less roomy. Enjoyed our stay at Nikko, however, we found the room we stayed was rather small for 4 people. Not much interaction with staff apart from check in and out. I had a quality sleep with supream bed. Close to Bart powell station. Pros - helpful and friendly staff, has a cute doggy mascot, good location, wifi in room, great gym facilities plus an indoor pool and neat and tidy room with turn down provided. Cons - small double bed and usage of fitness facilities are chargeable for a small fee. Definitely recommended hotel to stay in downtown sf. Decent space of the room, clean and the location is just spot on. Expensive in work days though but every hotels in sf are expensive in work days i think. I chose Nikko because of the location and also because I read that they recently renovated. 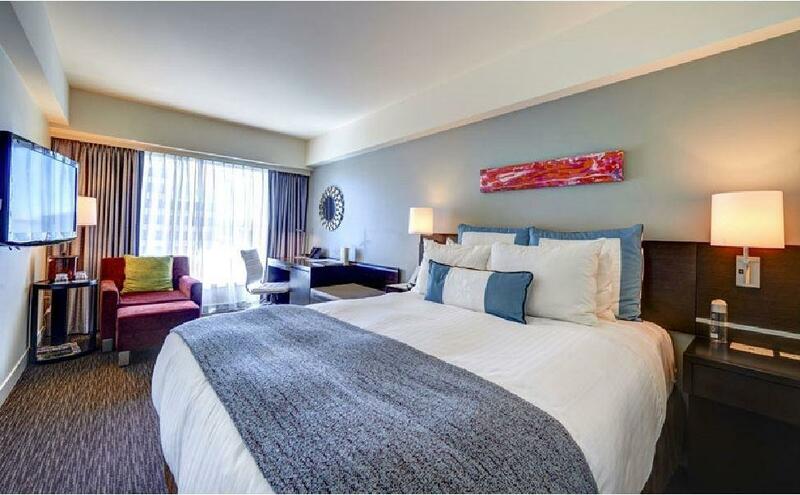 The pictures of the upgraded guestrooms look very nice (I liked the soft cool blue gray color scheme). However, when I arrived at the hotel, I found the lobby and reception areas to be plain and lackluster; it appears that their renovations did not include the common areas. The elevator that we rode up to our room smelled of piss and it was gross! Our room was nice, as in the photos but I noticed that the bathroom had only been partially refurbished; the bath tub and shower looks old, the floor and wall tiles had a pretty dated look. Shower was a handheld type which I prefer but the holder was placed so high up that I had to stretch on tippy toes to get to (ok, so I am your average asian female) and the water pressure is pretty weak. The insulation is not great because I was awoken a few times at night by sounds from a truck reversing, and this happened both nights of our stay. Great location. Everything is walkable. Rooms are small (like in tokyo) but the service is helpful and practical. Lots of shopping around. Being in the city means all the way to ferry building is actually walkable in half an hour or so.